In Art Club students learn the basics of Art. Although, the club is not aimed at creating professional artists yet it aims to create different forms of art and provides knowledge of colours, light-shade etc. 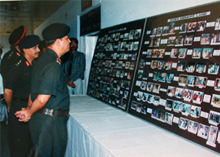 The club also organizes exhibitions, displays paintings and sketches which have been highly appreciated by the visiting dignitaries. 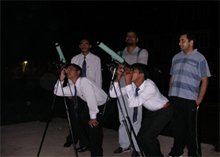 The main objective of the Astronomy club is to make the cadets aware of scientific study of all the planets other than the Earth (Mercury, Venus, Mars, Jupiter, Saturn, Uranus, Neptune, Plato, Moon and Stars). The students collect latest information regarding various missions in respect of Solar System. The club has two Astronomical Telescopes and two binoculars. 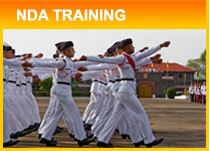 To prepare and train the cadets for public speaking. To harness the gift of gab which otherwise without opportunity remains unexplored. To promote managerial spirit in the cadets by entrusting them the responsibility of conducting and organizing the activities. To instill in the cadets aesthetic sense, love for knowledge and literature.Usually one or the other contest is held every fortnight among the students in which individual as well as team participation is allowed. 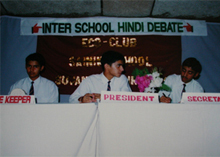 Various literary activities such as declamation, debate in Hindi and English, Quiz, Essay Writing competition are held frequently. The competitions are held amongst various Houses. 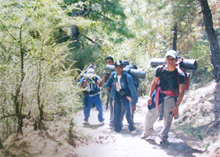 The club endeavors to accord maximum opportunities to its members to drill up all the four skills viz. listening, speaking, reading and writing. School cadets have been participating in Quiz, Debate and Declamation contests conducted by CBSE, IPSC and State Board and have secured appreciable positions. Motivational movies are screened on Sunday & Holidays through Cable Network/School projector.